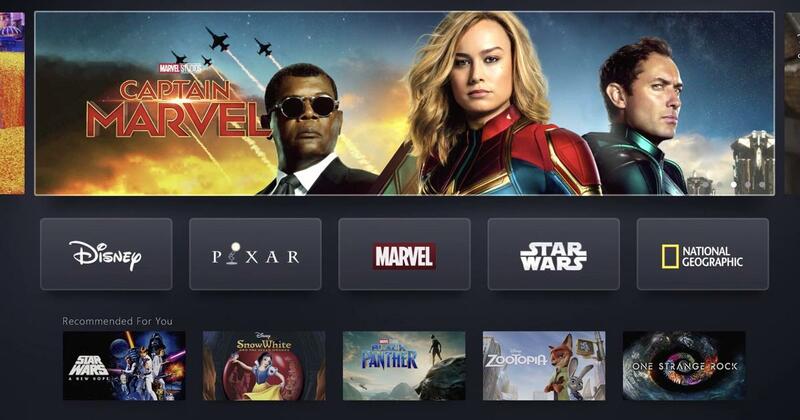 Entertainment colossus Disney announced the launch of Disney+ along with a list of programmes and films that will be made available in the streaming service on Friday. The streaming platform will provide “fans of all ages a new way to experience the unparalleled content from the company’s iconic entertainment brands”, according to Walt Disney’s website. Apart from over 500 library titles, including 30 seasons of The Simpsons (1989), The Sound of Music (1965), The Princess Bride (1987) and Malcolm in the Middle (2000-2006), the service will also offer Disney+ originals. Among the upcoming original series are Jon Favreau’s The Mandalorian, starring Pedro Pascal, the new season of Star Wars: The Clone Wars, a 10-episode adaptation of High School Musical, an untitled Cassian Andor series starring Diego Luna, the Marvel Studios series Loki, starring Tom Hiddleston, Monsters at Work and Diary of a Female President. Upcoming movie releases, such as Avengers: Endgame, Aladdin, Toy Story 4, The Lion King, Maleﬁcent: Mistress of Evil, Frozen 2, Star Wars: Episode IX, will also be available for streaming. Disney+ will be launched in the United States on November 12, with a subscription fixed at $6.99 a month and annual option of $70.